Born on 24 December 1985 in Georgia, Alexander Miskirtchian is also from Armenian descent. 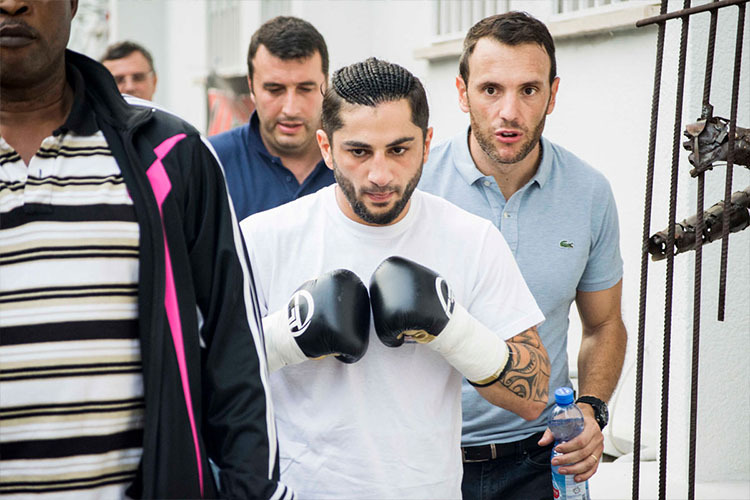 It is at the age of 10 that he discovers boxing in Tbilisi (capital of Georgia) and indirectly, some form of independence. It is in Belgium, more precisely in the city of Dinant, that Alex manages to reconcile his professional career with his family life. Alex is married and the father of two young boys. 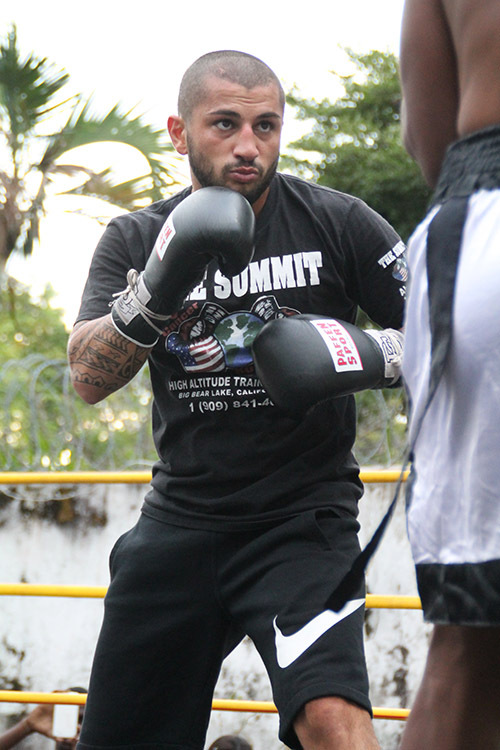 After winning two Belgian championship titles as an amateur, Alex became a professional boxer in 2005. In 2009, he won the Belgian light weight title and later in the same year, the European Community title. 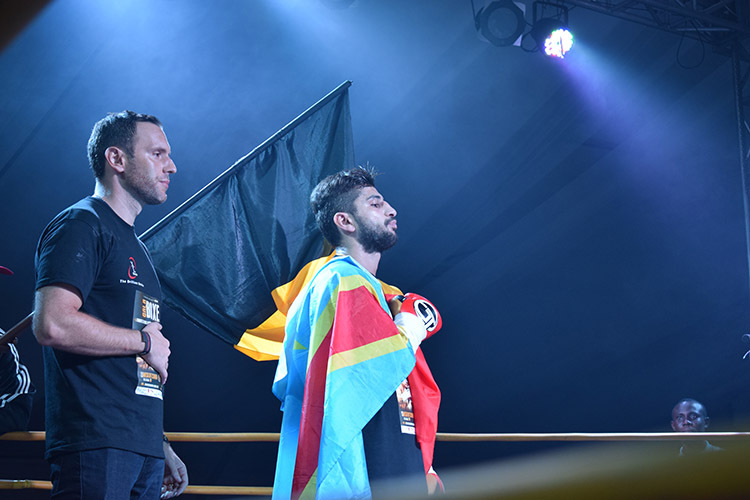 In 2011, he became the new European light weight champion after defeating titleholder Sofiane Takoucht. Later, he will win two more European champion titles in 2012 and 2013 after a preparation in California with the famous coach Abel Sanchez. In 2014, Alex faced Russian world champion Evegeny Gradovich in Macau, China. Alex will knock his opponent down in the fifth round but will still be defeated after 12 rounds of a fierce fight. After a tough year in 2015, with another defeat in New York, Alex recovered well in 2016 with a magnificent KO victory against Ghanaian boxer Kamarudeen Boyefio in October 2016 at the Pullman Hotel in Kinshasa. In order to support the Congolese federations, Alex will be back in the ring on June 2017, this time in Kinshasa against a Congolese boxer. – When on vacation where do you spend most of your time: in the city, on the beach or out and about exploring nature ? – A 3 words definition of journey. – What is your dream destination ? – What is your favourite place in the world ? The Marriott, located in the centre of Yerevan, Armenia’s capital city. – Your favourite restaurant in the world ? – On an island what would you take with you ? Our grandparents’ time. It is probably idealistic but many great values have been lost over two generations. – Your last trip ? – Your next trip ? – What question would you ask if the answer was “yes” ? – 24 December as it is the birthday of my first son Luka, my birthday and of course Jesus’ birthday. – 3rd June because it’s my second son Misha’s birthday. – 30 September 2011, the day when I became champion of Europe for the first time.